When I told people I was carving out three days of my South American holiday to spend in Chile, specifically Santiago and Valparaiso, they were confused. Aussies need to pass through Santiago to fly home but no one actually steps out of the airport. One friend even coined Santiago as ‘an irrelevancy’. Well that made me even more determined to go. After all it’s an entirely different country (from Brazil and Argentina where I’d previously been) which meant new ingredients, cooking styles and traditional dishes. There would have to be something new and delicious for me to eat I reasoned. 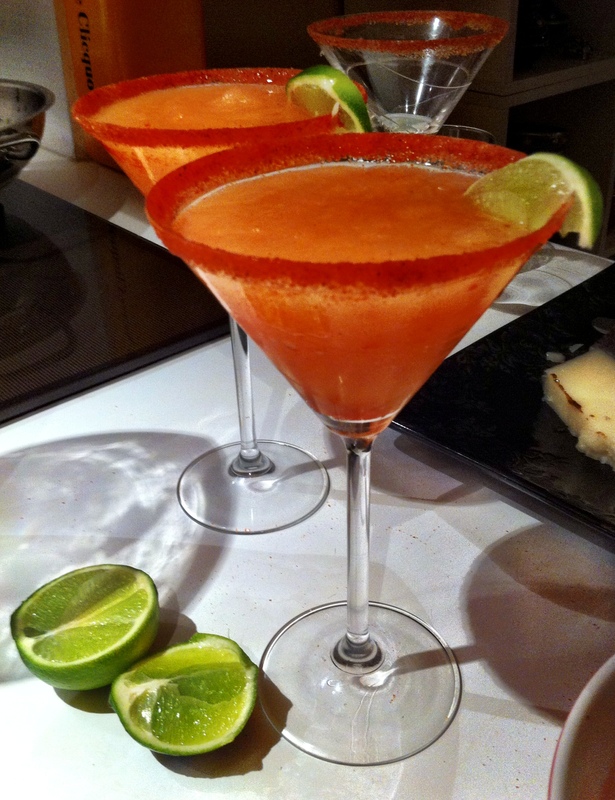 Plus the country produces pisco and I live on pisco sours. When I landed in Santiago after a few weeks in luminous Brazil, it was raining and cold. People were burrowed under coats, the sky was grim and the fierce rain forced me to take cabs when I otherwise would always walk. It wasn’t a great start. But once I bought a scarf and started to explore, I soon found my foodie groove. 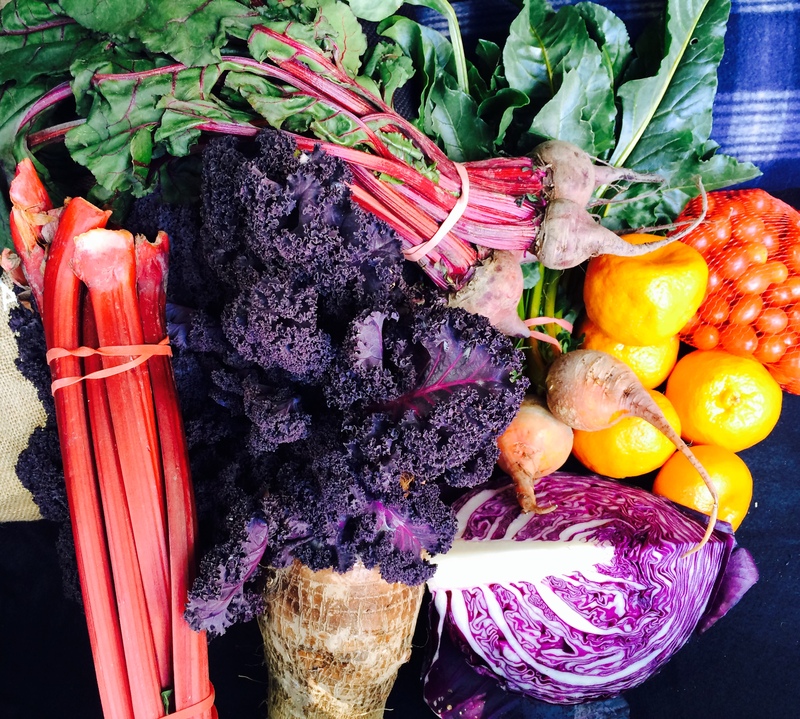 I easily ate a week’s worth of food in three days and these were my highlights. If I had to live on one dish for the rest of my life, this would be it. 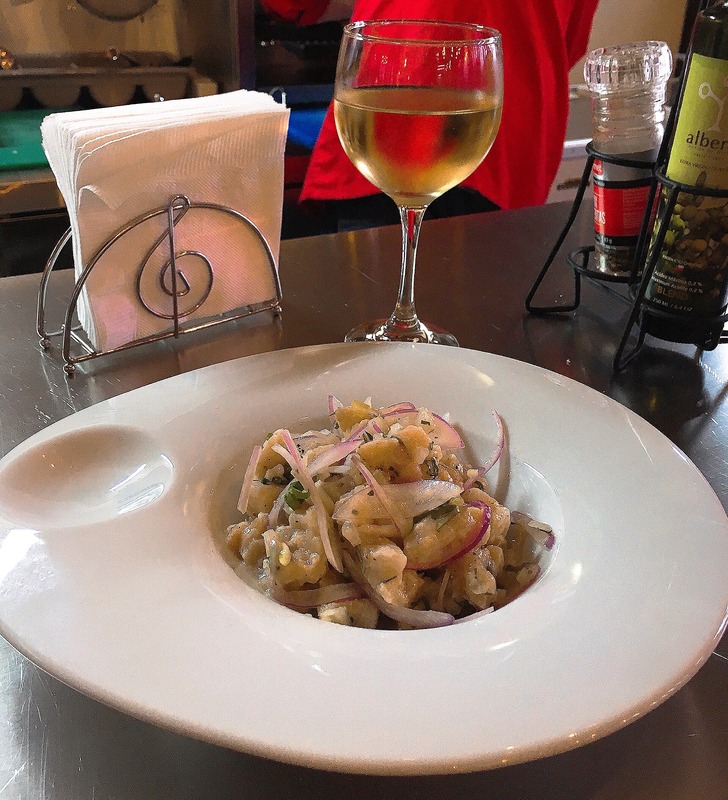 I’ve always loved the zing and wholesomeness of a good ceviche, and appreciate how uncomplicated it is. As a country that’s all coastline, Chile excels in fresh and delicious seafood, including many species of fish you can’t get elsewhere. 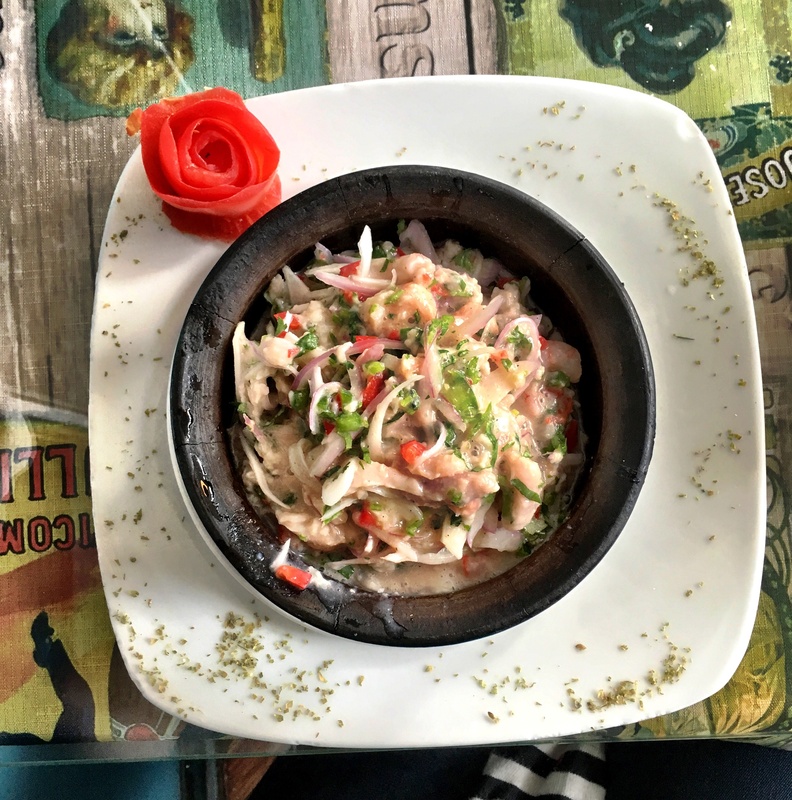 I ate ceviche in a little seafood joint in Valparaiso, at a pokey little stall in the fish markets and in a seafood restaurant and every time it was on point. Never too fancy, never overloaded with ingredients, just fresh slivers of fish and maybe prawn, heavy with the weight of the citrus it had soaked up to ‘cook’ the fish, and peppered with chili, garlic, red pepper, red onion and a sprinkling of coriander. Sensational every time. I have single handedly increased pisco distribution amongst Sydney bars. I’ve learnt that if you badger a bartender enough they will eventually start stocking your favourite spirit and making your favourite cocktail. Of course I didn’t have that problem in Chile as it’s the national tipple. 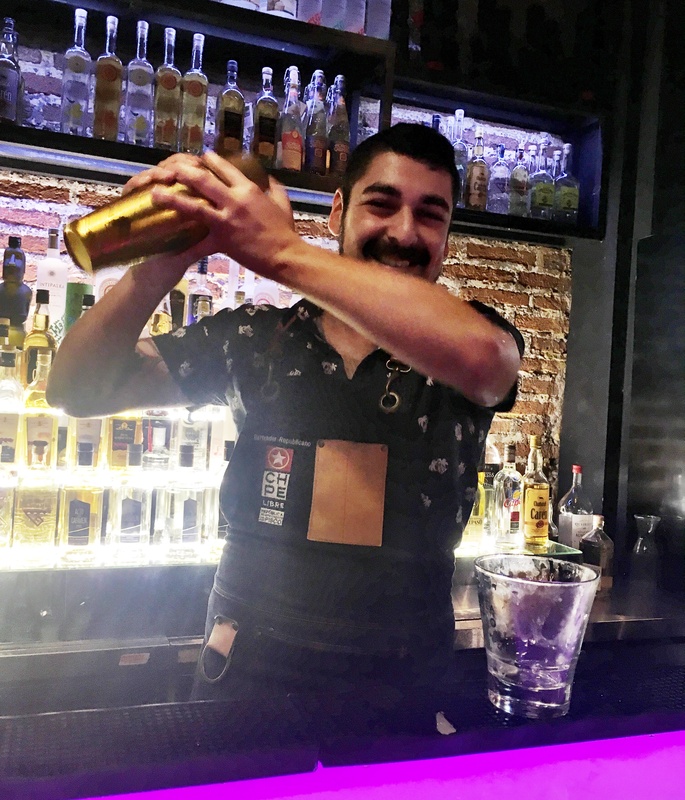 My favourite pisco bar was Chpe Libre (Chpe coming from a merging of ‘Chile’ and ‘Peru’) which called itself the Républica Independiente del Pisco, i.e. 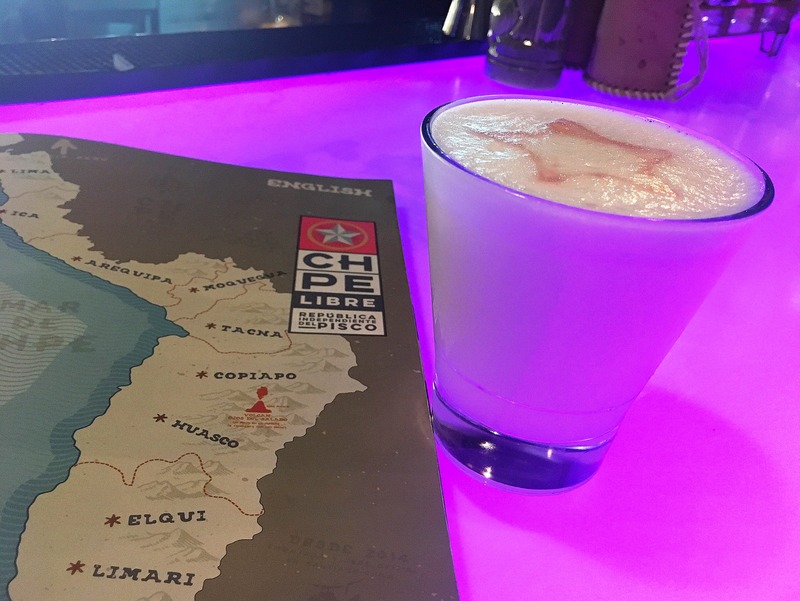 the imaginary diplomatic heart of the pisco regions of Chile and Peru. It therefore served pisco sours made from Chilean and Peruvian pisco, and while people make a fuss about the difference, I struggled to really identify specific flavours. Maybe because of the competing citrus, sugar and egg wash going on in the glass or maybe because I drank too many to really remember! 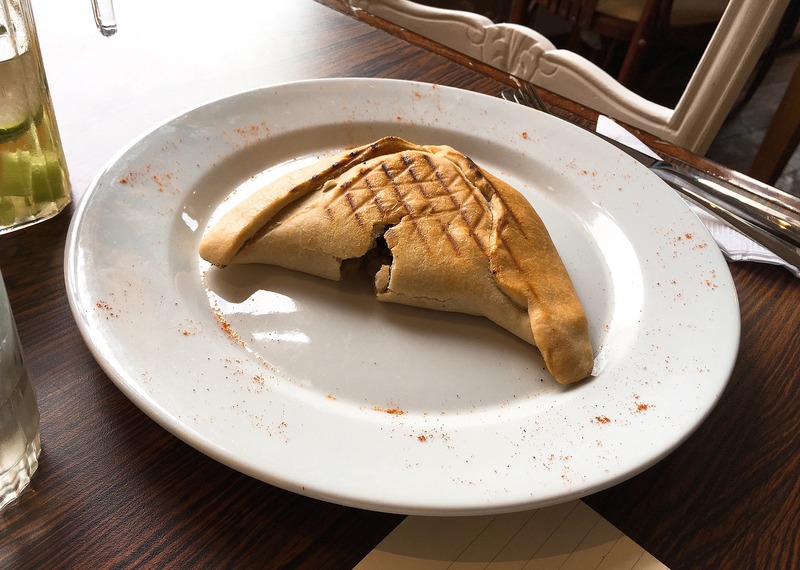 After spending time in Argentina I thought I’d had my fill of empanadas but it turns out I have a second stomach for them. 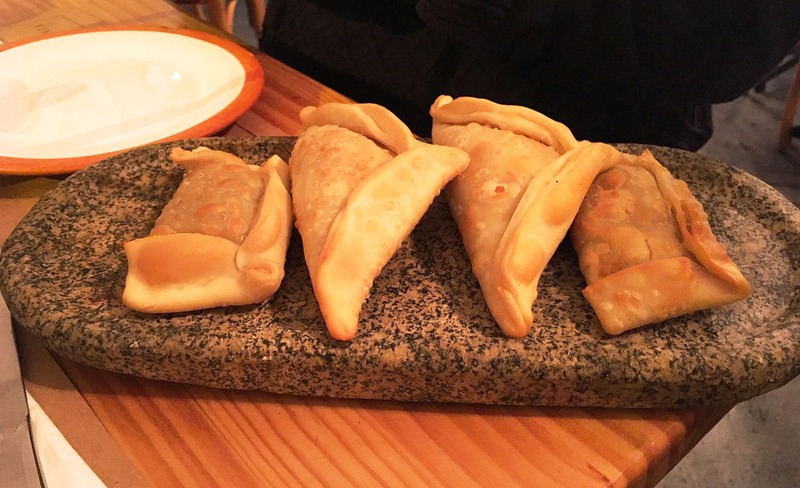 I also like the Chilean take on this ubiquitous South American hand held food. Their meat version, ‘pino’, isn’t just made with ground beef but is spiked with onions, raisins, black olives and a surprise (to me) of hard-boiled egg, which really elevated the flavour. 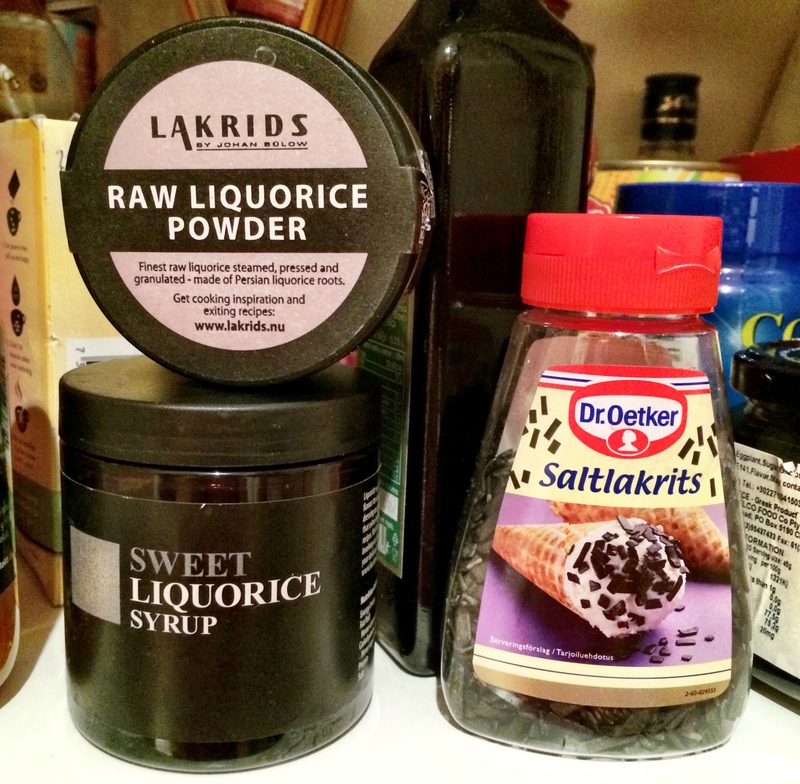 If you’ve come this far then you’ve certaintly sampled the obvious highlights of Swedish food. 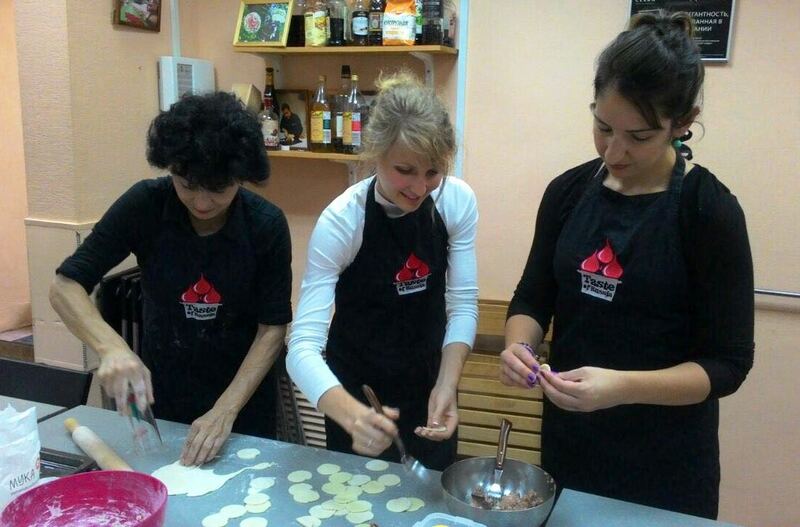 But this cuisine gets so much better, and more creative, the more you delve. 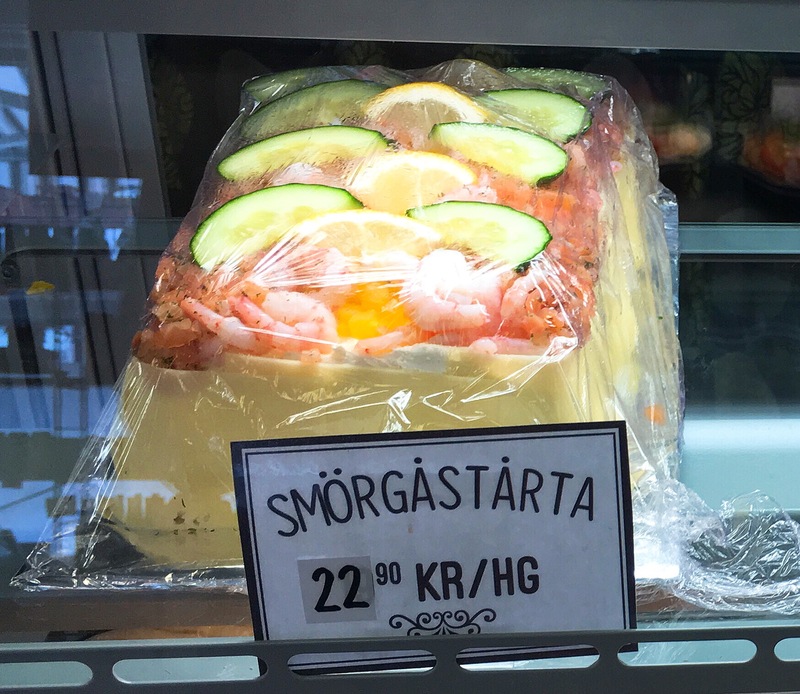 On my last trip to Sweden I veered north and stumbled across some particularly unique delicacies which were most entertaining. 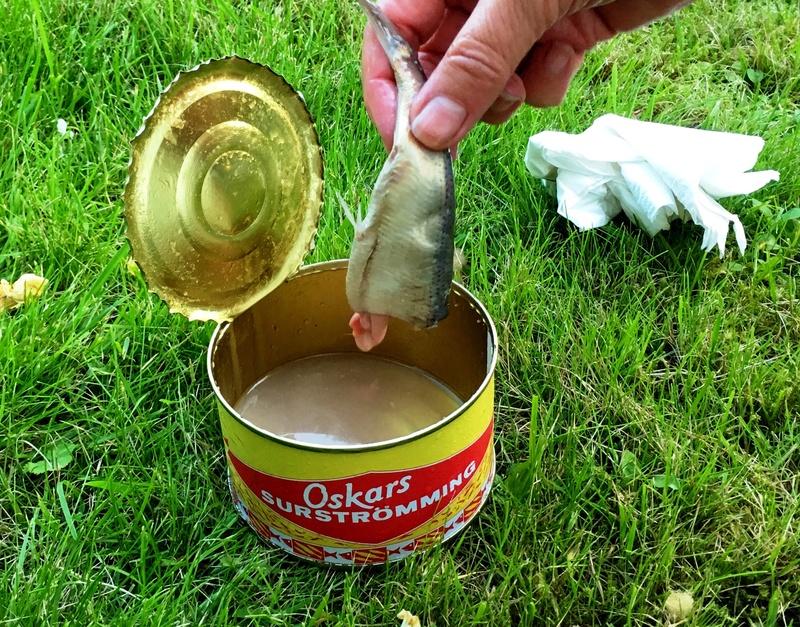 Freshly opened surströmming – strategically opened outside on the grass. 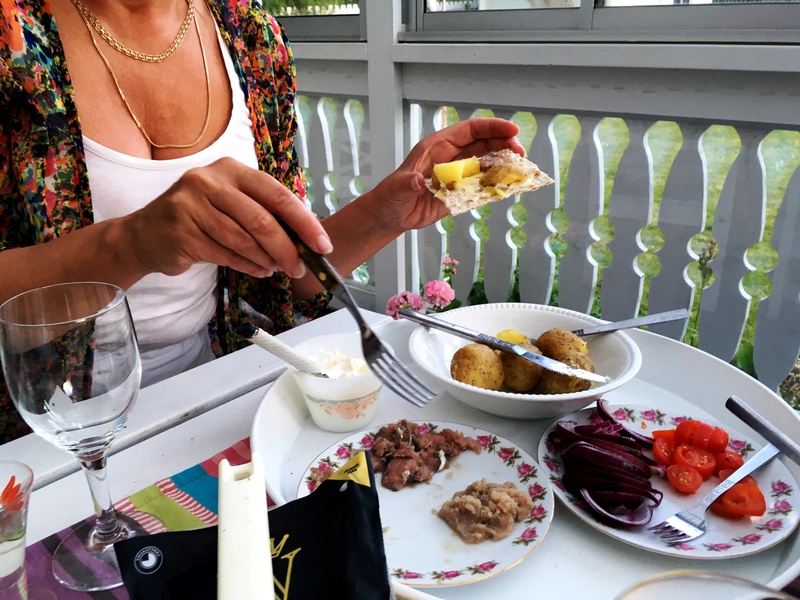 My adopted Swedish mother Ing-mari made me feel like her third child the moment I stepped through her door and had a suite of Northern Swedish delicacies lined up for me to try, starting with the extremely polarising surströmming. 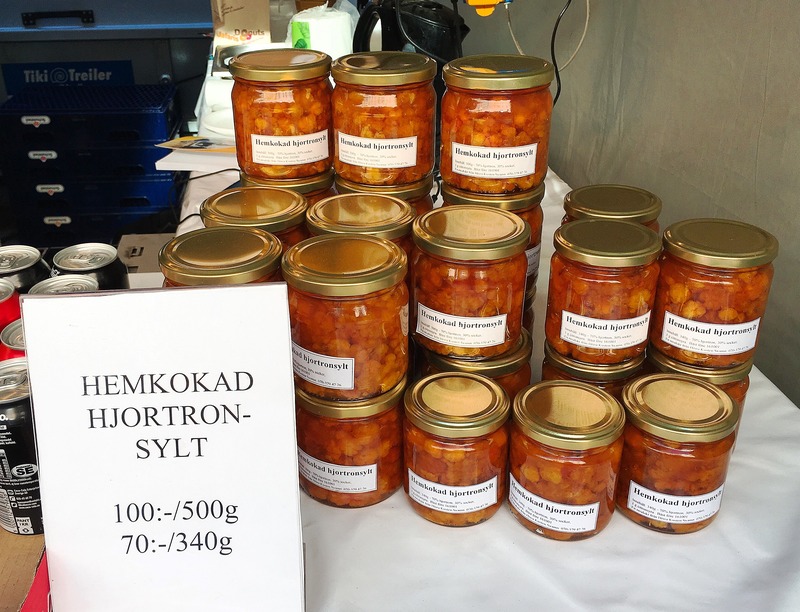 Now some say this fermented Baltic Sea herring is the smelliest food in the world but I know that isn’t true because that honour goes to Icelandic fermented shark which I can guarantee you will have you retching from 50m away. The Baltic herring used in surströmming is fermented for six months then stuffed in a tin to give the salty fish a sharp sour flavour. The smell is so pungent that there’s an unwritten law that a can must only be opened outdoors and far away from neighbours. When I arrived in Hemmanet outside of Sundsvall the said can was already ‘resting’ on the grass in preparation for our meal. 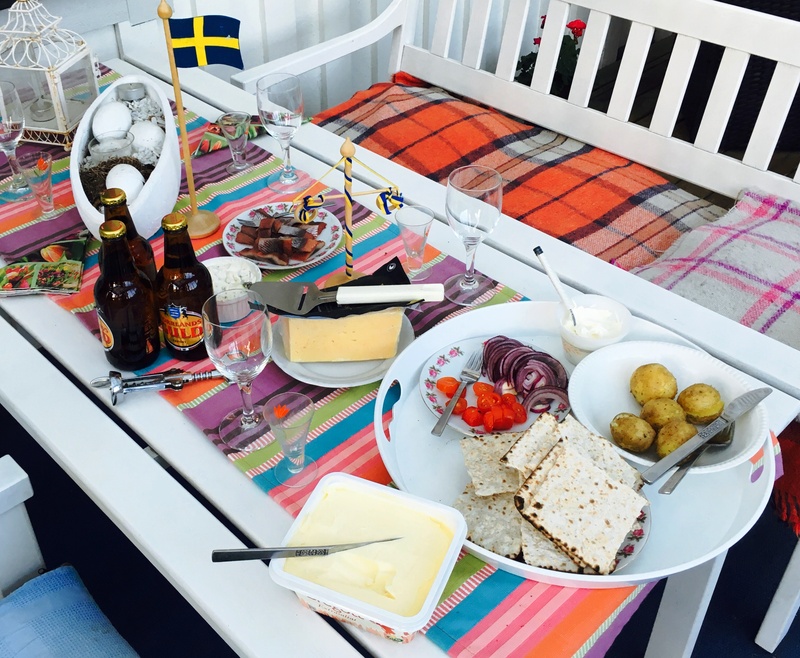 The combination of flavours and textures on this rye bread make the surströmming sing! 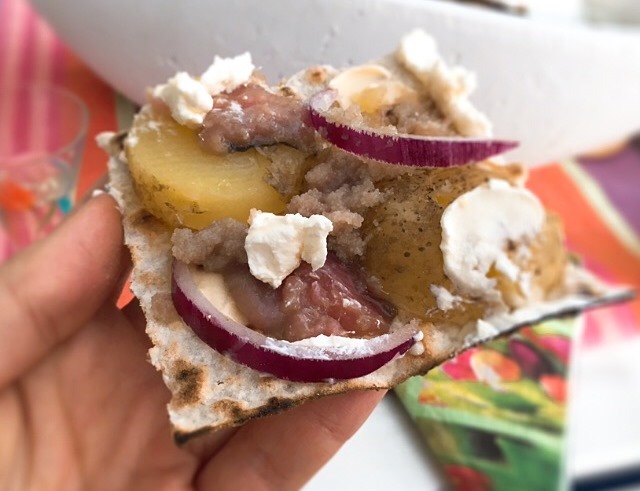 Ing-Mari served the surströmming on crisp rye bread with butter, slices of boiled potatoes, sliced red onion, caviar and sour cream. I found it delicious! And not just because it caved under the weight of the accoutrements – I tried some solo and really relished the tangy taste washed down with aquavit. When I see something edible for the first time my eyes go wide, I get really excited and MUST TRY IT IMMEDIATELY. No one knows this better than my dear Swedish friend Joakim who has patiently indulged my foodie obsessions over many Swedish road trips. It was on the latest that I spotted a strange construction in a supermarket. It was embellished like a cake but appeared to be made of savoury ingredients. I really wish I had known my grandfathers. They both died when I was a toddler so all I have are some old 80s-style photos of them holding me proudly in their arms. Despite not knowing them I am pretty sure my love of food stems from their influence: one was a seafood chef at The Royal Automobile Club, amongst other places, and the other ran a fresh fish shop in Sydney’s Wynyard Station which was the place to buy fish in the 60s. It’s now a McDonald’s. These weren’t uncommon career paths for Greek immigrants, who came to Australia with nothing but the determination to succeed and a little ingenuity. 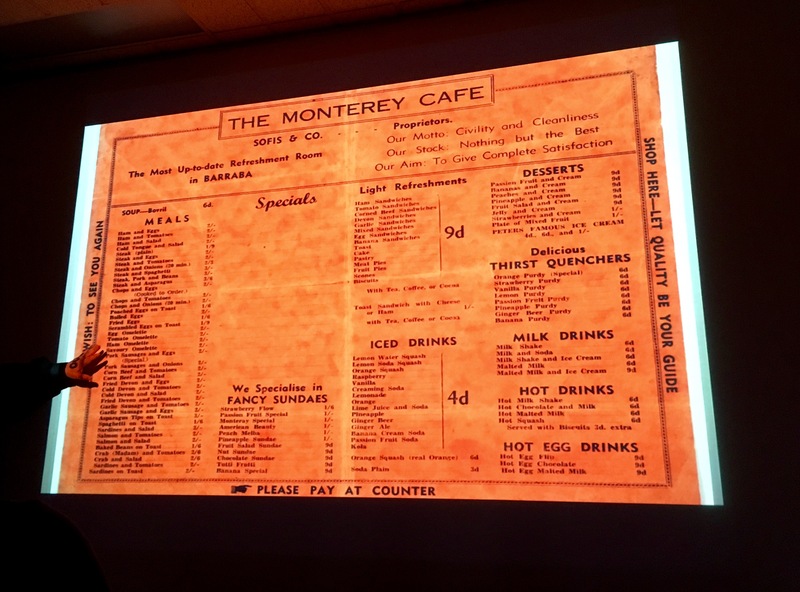 Food was a way for new migrants to assimilate into the community and find jobs, even when they didn’t speak English. Many also came via America or had family in America where they’d picked up culinary ideas that were ripe for applying to the Aussie market. 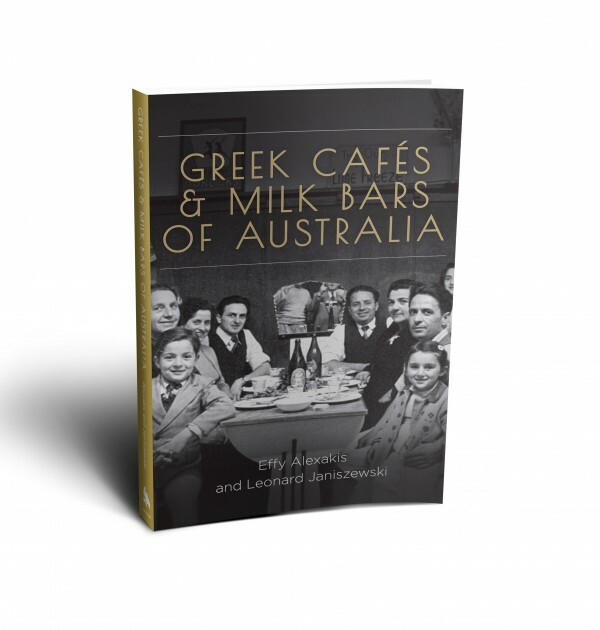 My ears pricked up when I heard about a new book by historian Leonard Janiszewski and photographer Effy Alexakis that delves into the impact that Greeks have had on the café culture in Australia. 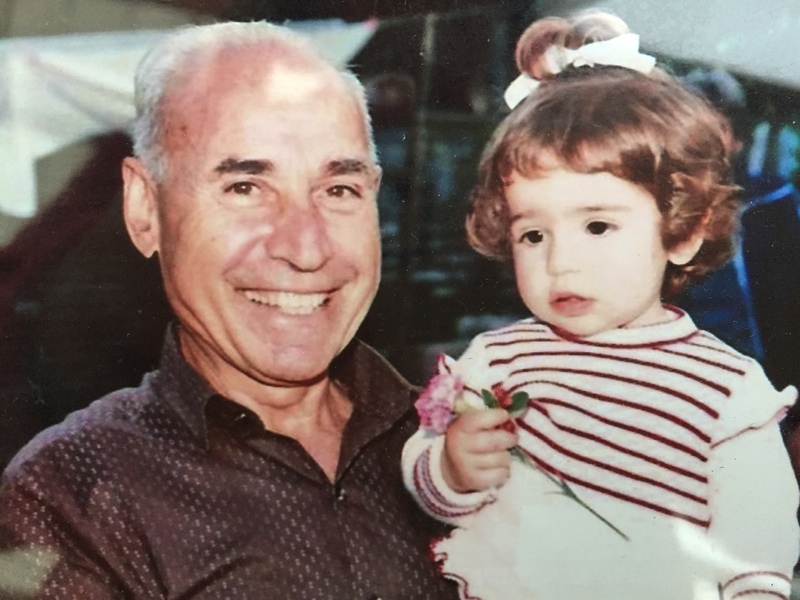 The book compiles the stories of many Greek families and looks at the development of eating culture through the lens of the Greek café and milk bar. The book proves that Greeks truly changed the face of public eating in Australia. As part of History Week (can you tell I’m the daughter of a history teacher?) I went along to a book talk with my Aunty Kathy and was fascinated to learn more about other Greek families in hospitality and their impact on Aussie culture. It’s hard to imagine how different things once were. 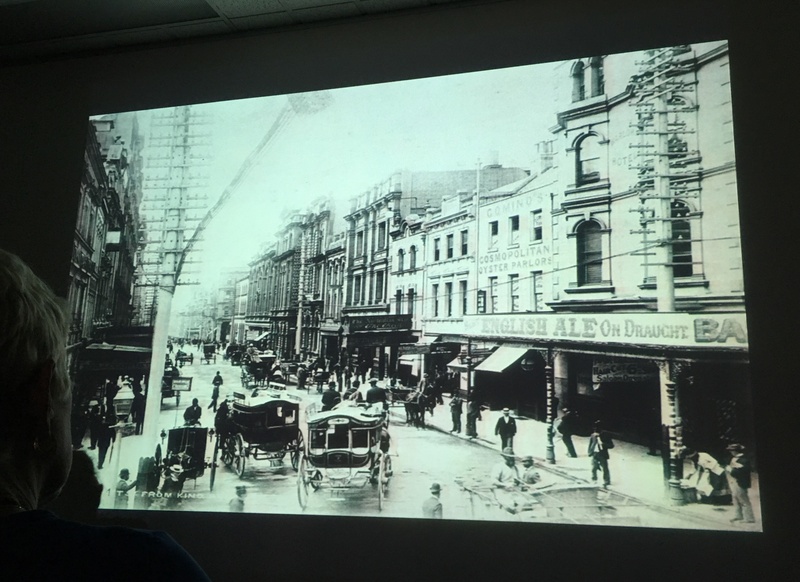 In the late 1800s and early 1900s, Australia mimicked the UK and social hierarchy was everything. The rich ate here and the poor ate there. 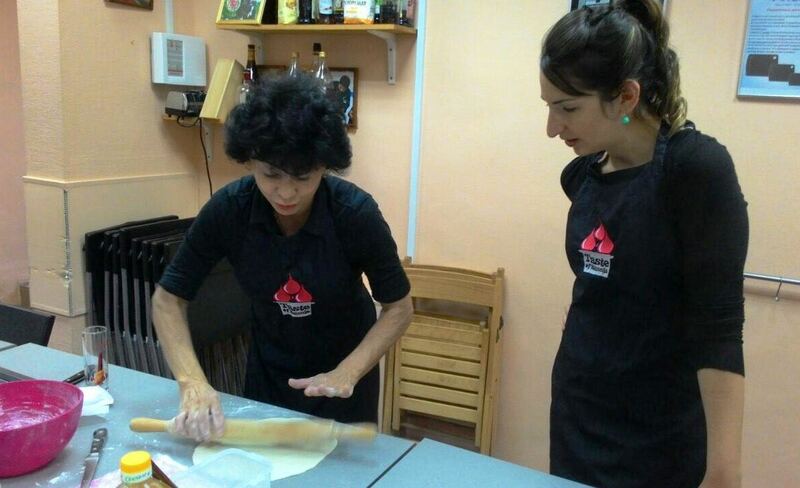 But in Greece, people have always mixed and mingled and eating is about family, delicious food and a sense of community. When the Greeks came to Australia to find a better life, they eschewed the social stratification of the day and opened establishments for everyone. First it was oyster saloons or oyster parlors (back when oysters were cheap), which they soon transformed with burgers and other foods they’d seen in America. Then they had the ingenious idea of taking soda fountains, traditionally used in apothecaries for helping bitter medicine go down, and making them customer-facing, adding syrups and flavours to create fun and social drinks. From soda the Greeks turned to milkshakes. New technology in the 1930s and the introduction of the Hamilton Beach Milkshake Maker made frothed milk drinks the beverage of choice. If you happen to have one kicking around from those times they’re worth an absolute fortune now. According to Janiszewski, the Greeks were even responsible for bringing in espresso machines… but it was the Italians who popularised them. 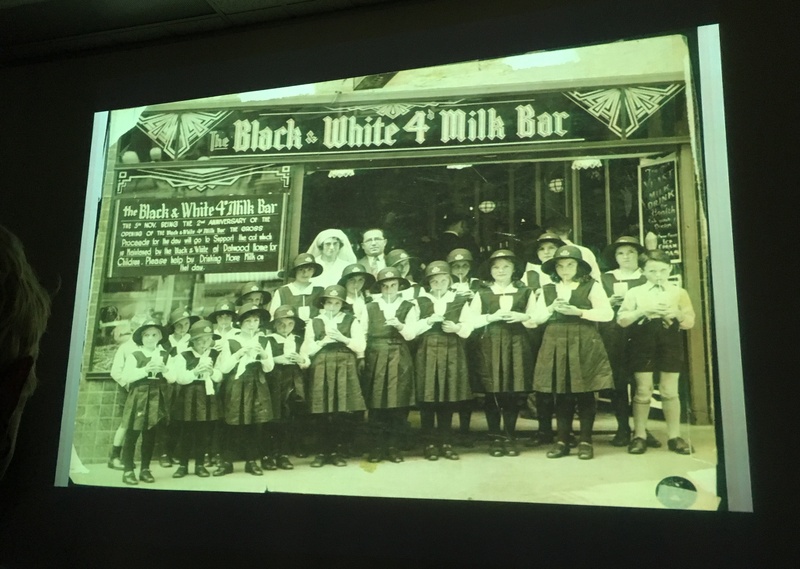 The Black & White 4d Milk Bar in Martin Place was Australia’s first milk bar. When it opened in 1934, 5,000 people lined up for a milkshake on the first day. My Papou Peter, pictured at the top of this story, actually ran the Black & White 4d Milk Bar at one stage. 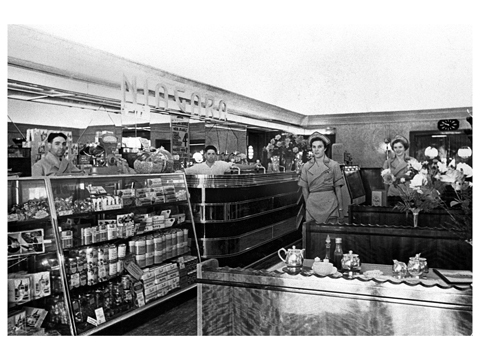 This was the start of a movement – by the end of the decade there were around 4,000 milk bars around Australia. McDonald’s would kill for that sort of market penetration these days. One of the better known Greek cafés, which still survives today, is the Niagara Café in Gundagai. From 1919 to 1983 it was owned by the Castrission family and my grandfather, Con Castrission, worked there when he first came to Australia. That’s him in the white shirt in the above photo, looking out from the bar. I’d really like to visit Gundagai one day and experience the café that was so influential in my family. My Papou Con went on to run his own café, The Astoria, in Echuca, before coming to Sydney to run Wynyard Fish Supply. 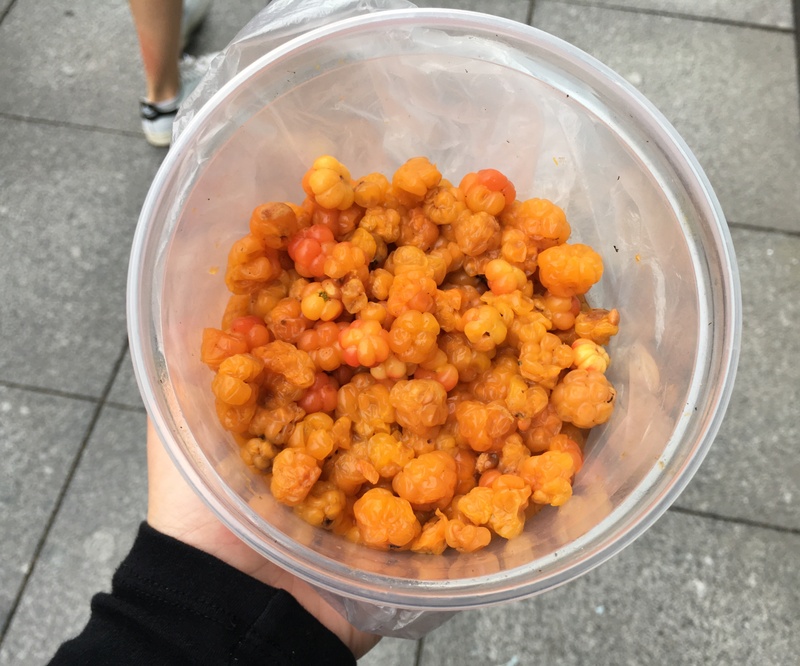 It’s been almost two years since I announced to the world that cloudberries are my crack. Since then my dependency has grown worse, exacerbated by a recent trip to the northern hemisphere where I had more access to the goods than I could handle. I’m literally on a cloudberry high as I write this. I’ve waxed lyrical about these babies before. Their rarity. Their delicacy. Their sweet, sweet, but tart taste that has my eyes lolling in my head. 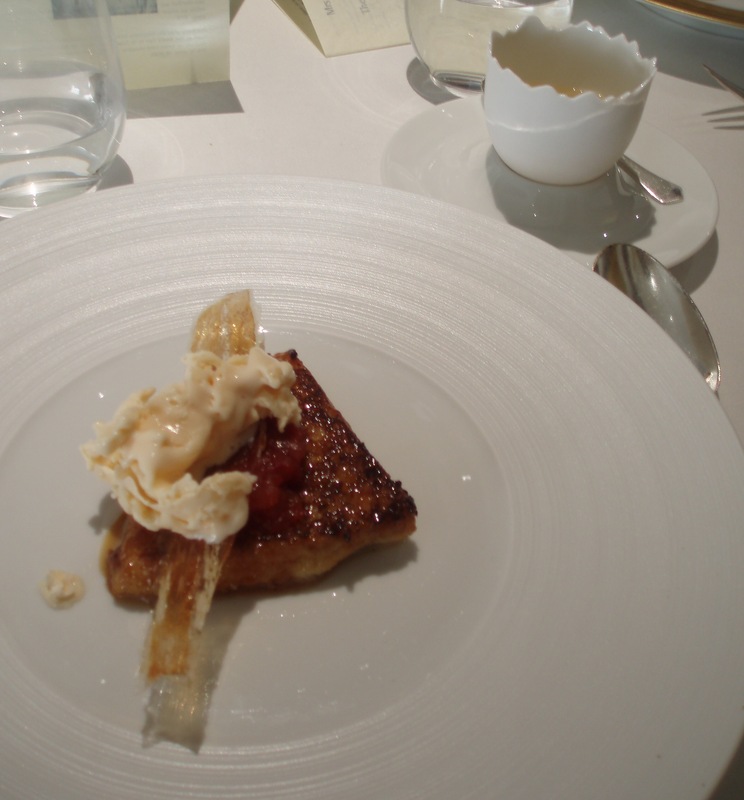 My habit started with cloudberry jam in London and peaked with fresh berries in Helsinki. I’m too far gone to stop now. But this year I took it to a whole new level. Cloudberry yoghurt? Yep. 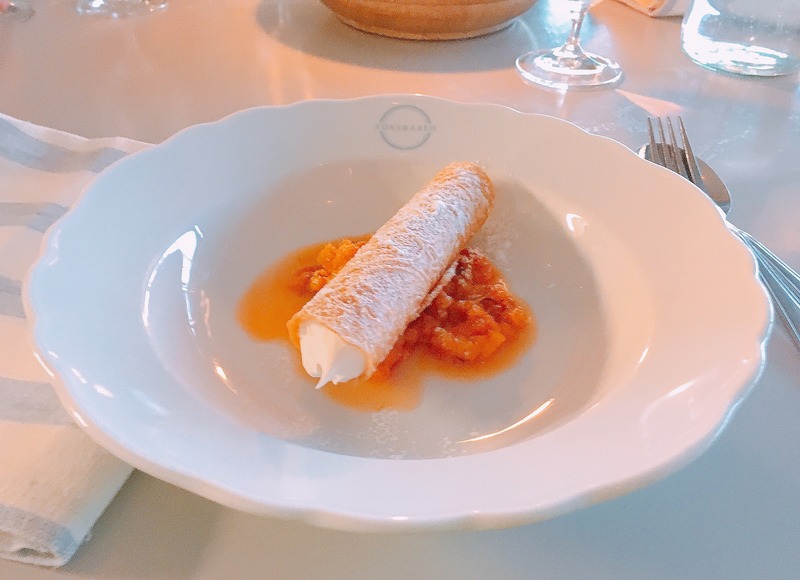 Cloudberries and fried cheese? All over it. Cloudberry soap? Absolutely (but only topically mind you – even I have limits). Cloudberries found their way into my world no less than nine times this July. Clouberries are called hjortron in Sweden, pronounced ‘you-tron’. I don’t even have to hint to my Swedish friends anymore, they know how much I love them. On my first morning in the northern Swedish city of Sundsvall, I was greeted with a delicious breakfast spread by my adopted Swedish mother, Ing-Mari. 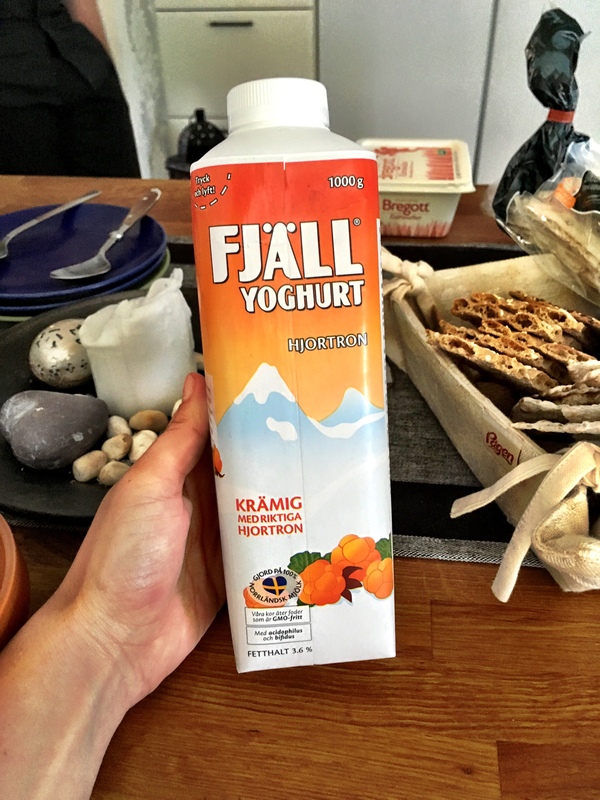 Amongst the crisp rye bread and västerbotten cheese was a carton of hjortron fjäll – a thin rich yoghurt flavoured with my favourite berries. What a way to start the day! This is how is all began for me and is probably the most well known and well travelled cloudberry product. If you’re lucky you can even find it at IKEA (if you live in Sydney don’t even bother trying the Tempe store, I generally clean them out). It’s ubiquitous in Sweden and I had to start restricting my purchases as it’s not very practical to transport around the world. Cheese and jam is a winning combination, nothing makes me go weak at the knees like a hunk of blue cheese stacked with quince jam. 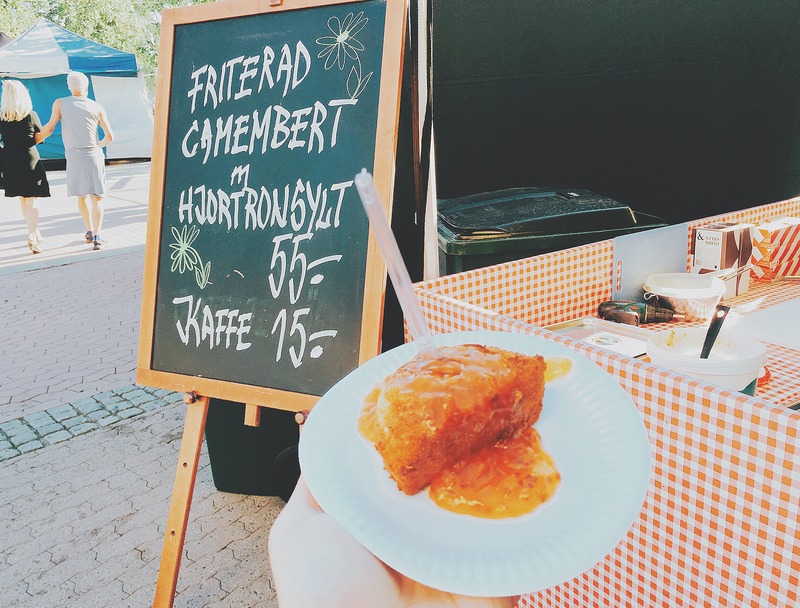 That was until the day I discovered fried camembert with cloudberry jam at a street market in Skelleftea, up in Swedish Lapland. 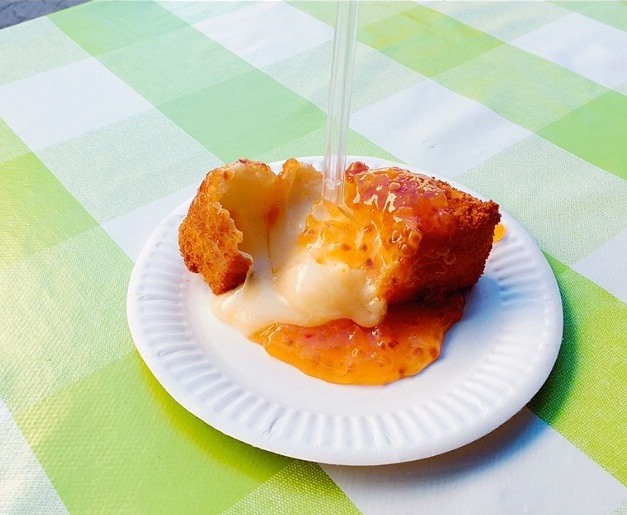 The fried cheese had a crispy exterior, gooey cheesy interior, and worked delightfully with the heady sweetness of cloudberries. How much do you know about Georgia? The country nestled under Russia in the Caucasus that is, not the US state. In all truth I previously knew only one thing about Georgia. In 2007 a little Georgian lass came fourth in Junior Eurovision (for under 15s), and on her return to Georgia she was welcomed like royalty. The Prime Minister even came to meet her at the airport, such was the enormity of this occasion. Any country that treats its fourth place Eurovision winner like a god is solid in my book. At this point I have to fess up and make it clear that I haven’t been to Georgia. 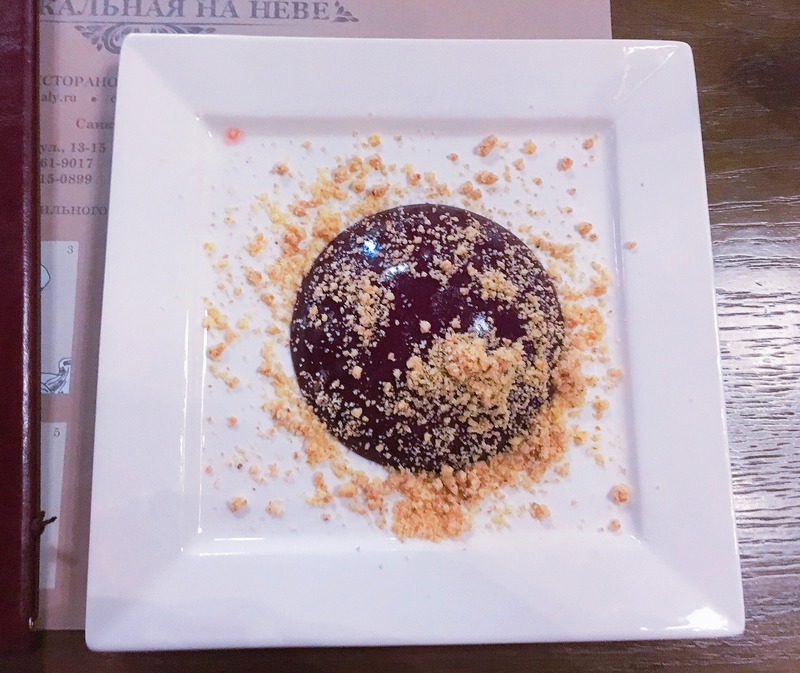 BUT, I have just spent two weeks in Russia, in which Georgian food takes a starring role. 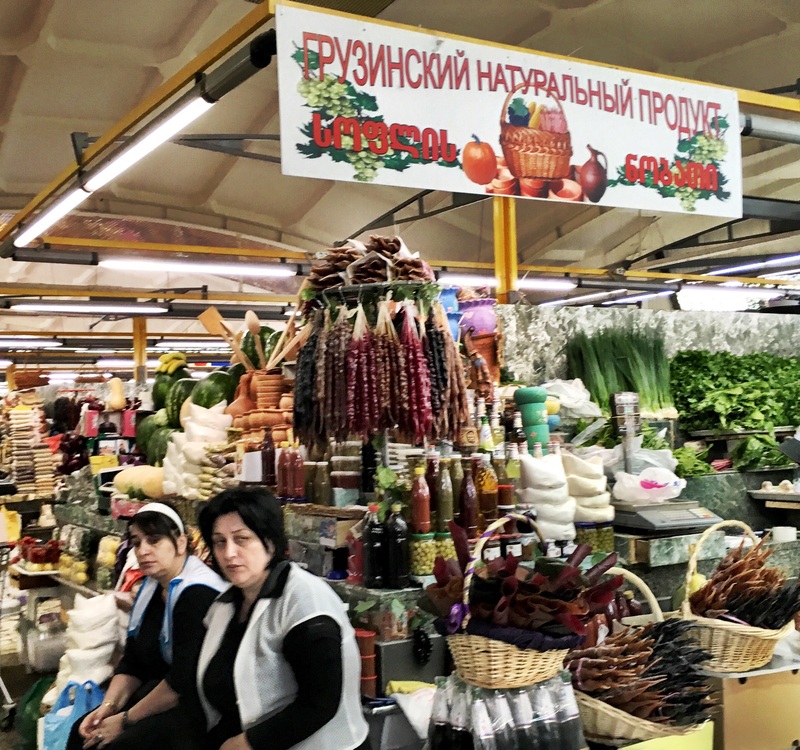 There seems to be a few reasons for the proliferation of Georgian cuisine. Firstly, it’s damn good. The benefit of sitting smack in the middle of the ancient East-West trade routes was being able to take your pick at the best of what was passing by, be it pillowy Turkish-style bread or Mediterranean salads. 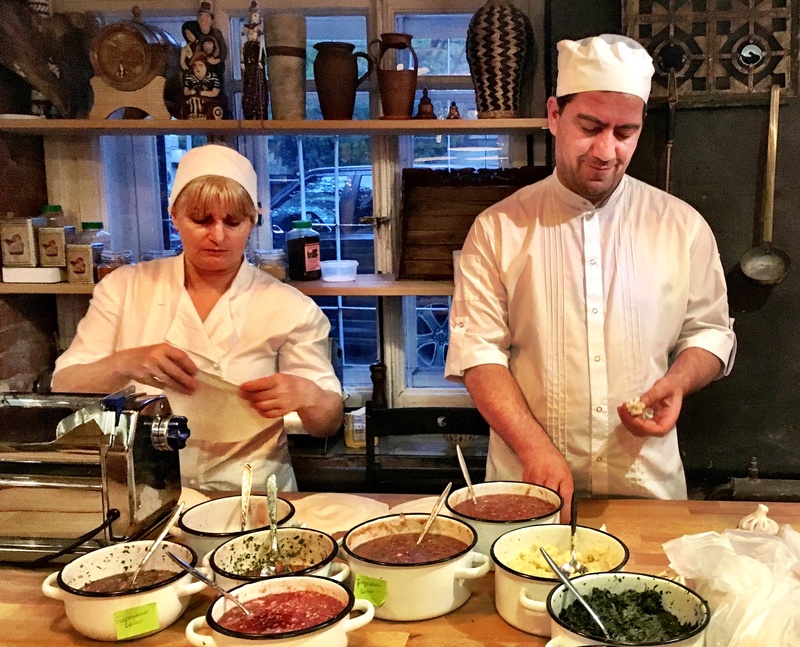 I’d argue that the cuisine is far more sophisticated than Russian food, which is hearty but more rudimentary in its approach to flavours. There’s also the Stalin factor. His influence can still be felt across the country, despite the momentous changes since his death in 1953. Just visit the Moscow metro which he designed as an interconnected web of museums ‘for the people’, which features his face at every opportunity. Stalin was from Georgia, so this undoubtedly influenced this prevalence of Georgian restaurants throughout the 20th century. Therefore it’s not at all hard to find a Georgian restaurant in the main Russian cities and you’d be wise to seek one out at least once. I did just this on my first night in Moscow and subsequent nights in Saint Petersburg. 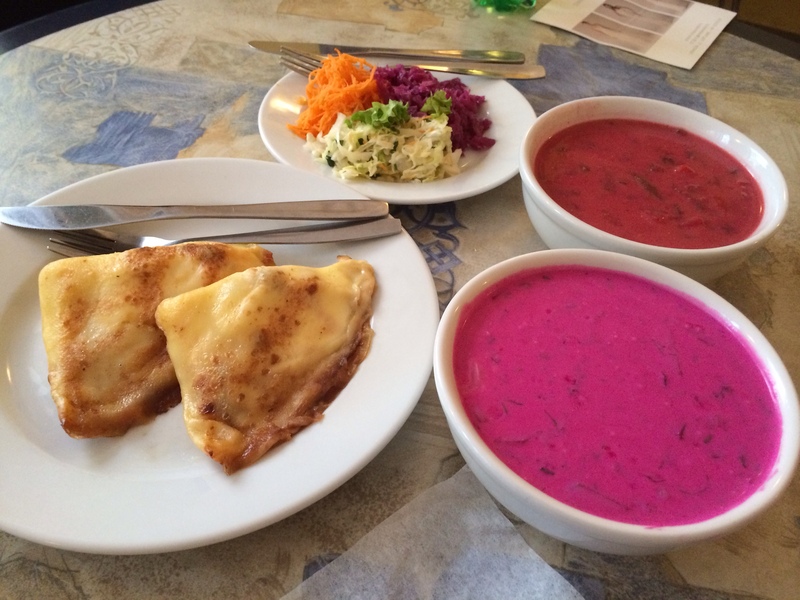 It’s possible that I ate at more Georgian restaurants than Russian restaurants. Don’t tell Putin okay? 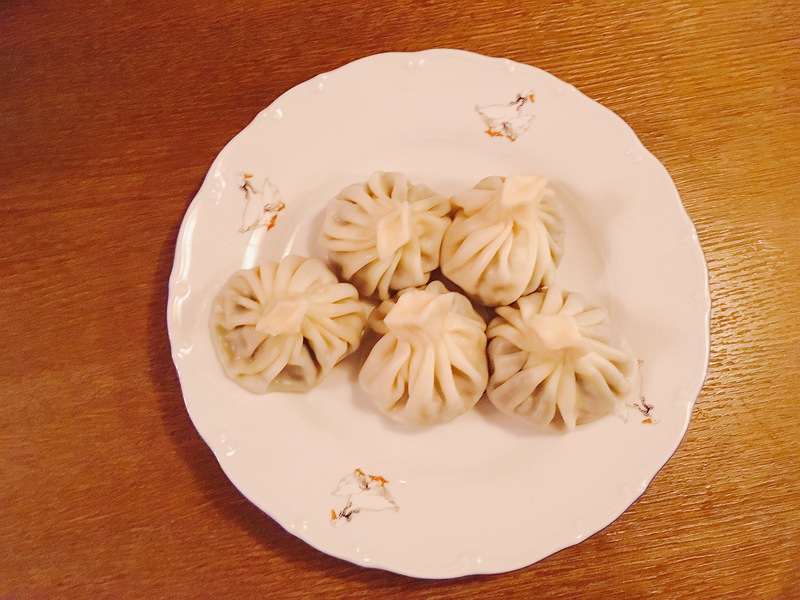 I narrowed down my favourite dishes to seven – and to be honest I didn’t even really go to town on some of the meat dishes the cuisine offers. And have I mentioned how much I liked the wine? There’s no question that I need a trip to the source to explore this delicious cuisine even further. 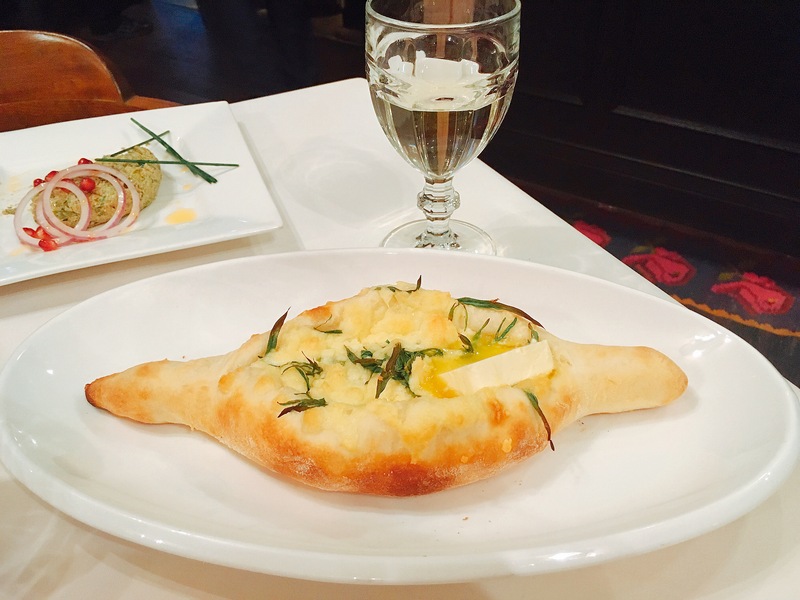 My first thought when this molten cacophony of bread and cheese was presented was its likeness to Turkish pide. 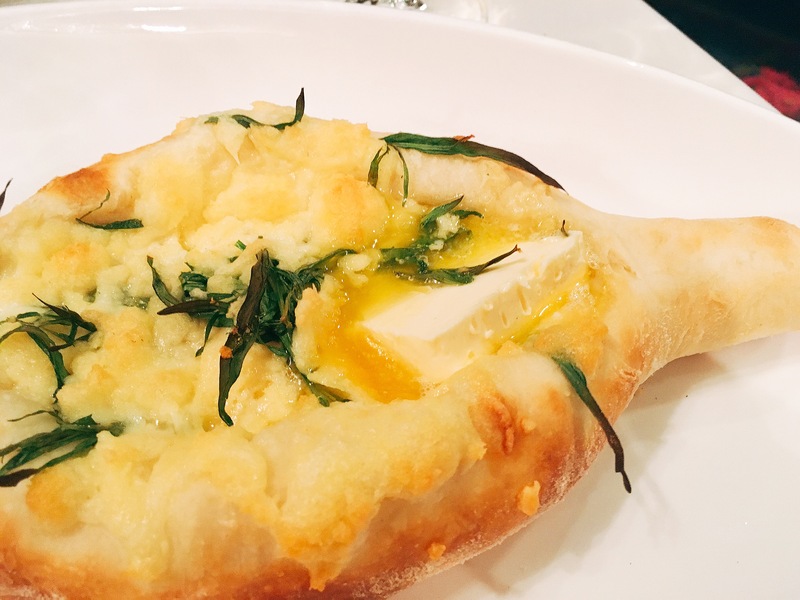 This version was topped with the crumbly brined Georgian cheese called sulguni, along with chunks of another cheese. I love to cook. No surprises there. Pouring through the pages of a culinary tome and diligently following the instructions is a great way to reach gastronomic heights. 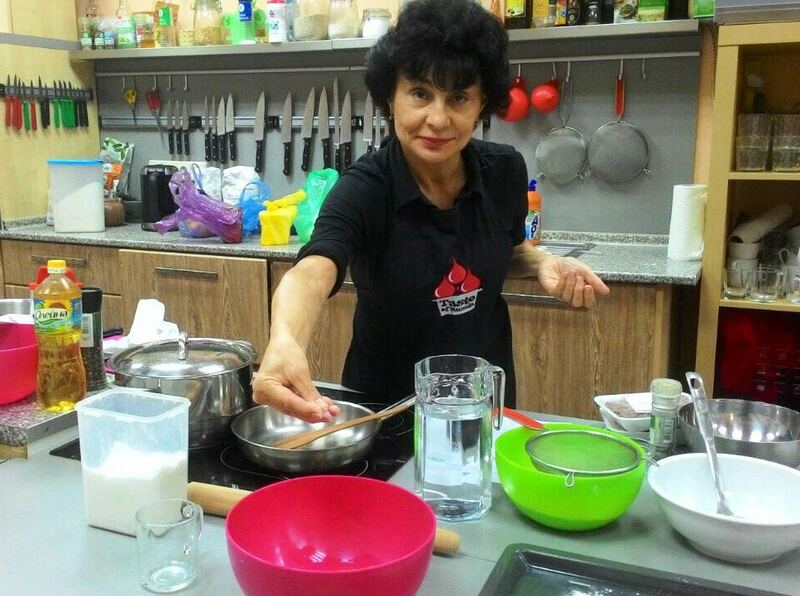 Or you can cook with my yiayia Alexandra and watch how she uses her instinct and years of experience to freestyle her way through a dish, never producing anything less than perfection. 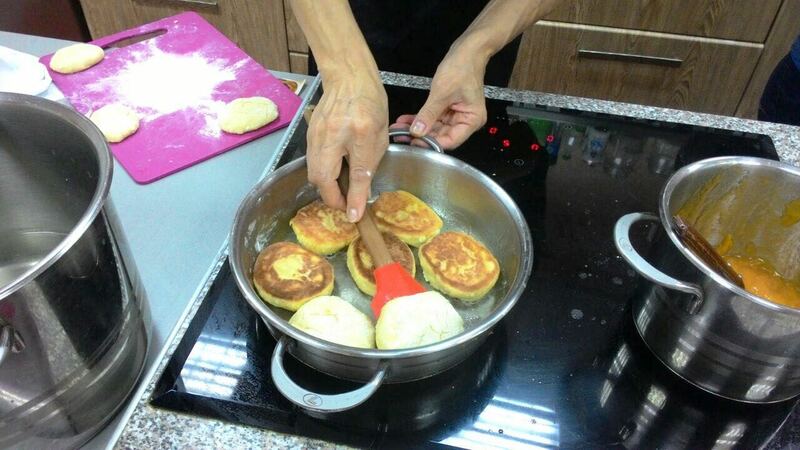 My yiayia Alexandra was never taught to cook. She talks about her mother’s cooking with pride but never had a chance to learn from her because she spent her teens working in the family’s olive grove and was then whisked off by boat, alone, to Australia at the tender age of 19. She initially lived in the small country town of Giri with her aunty and worked in the family café making sausage rolls and pies for the local farmers. 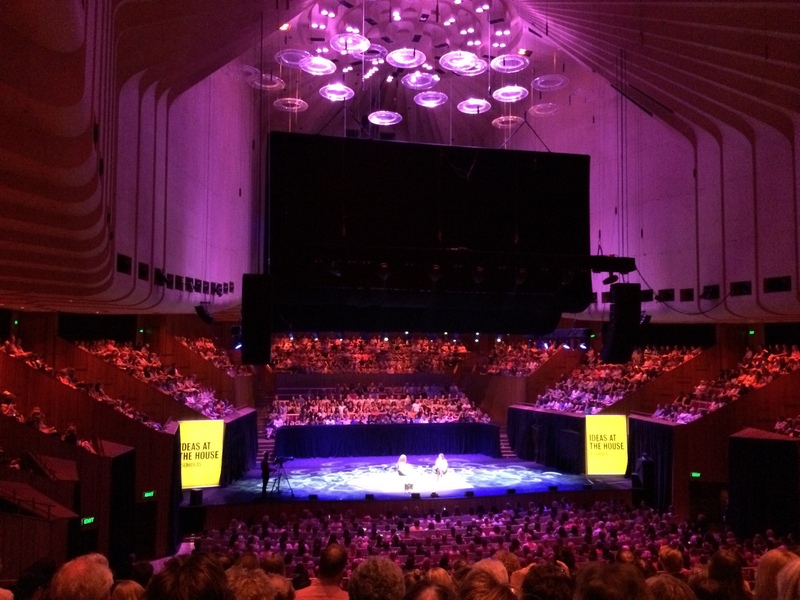 It was only when she married and moved to Sydney that she learnt to cook and over the years of bringing up a family she became known for her culinary prowess. Not an easy task considering her husband, my Papou Peter, was a seafood chef. I’ve cooked and eaten many delicious Greek dishes from yiayia (I can’t think of a single occasion when she’s veered from Hellenic cuisine) but one dish I’ve never seen either of my yiayias cook is arguably one of the more recognisable Greek mezedes, dolmades. I asked my Yiayia Maria once why this was and she told me it was because her husband, my Papou Con, didn’t like them. She had therefore never made them while he was alive and sure as hell wasn’t going to start now, even though he’s been dead for over thirty years. So I turned to Yiayia Alexandra to show me the ropes. I’ve only ever eaten rice stuffed vine leaves but it turns out yiayia had other ideas so we went shopping to pick up beef mince along with rice, parsley, onion, eggs and of course vine leaves. Back in the kitchen, yiayia rinsed the salty packed leaves while I was tasked with chopping the onion and parsley. 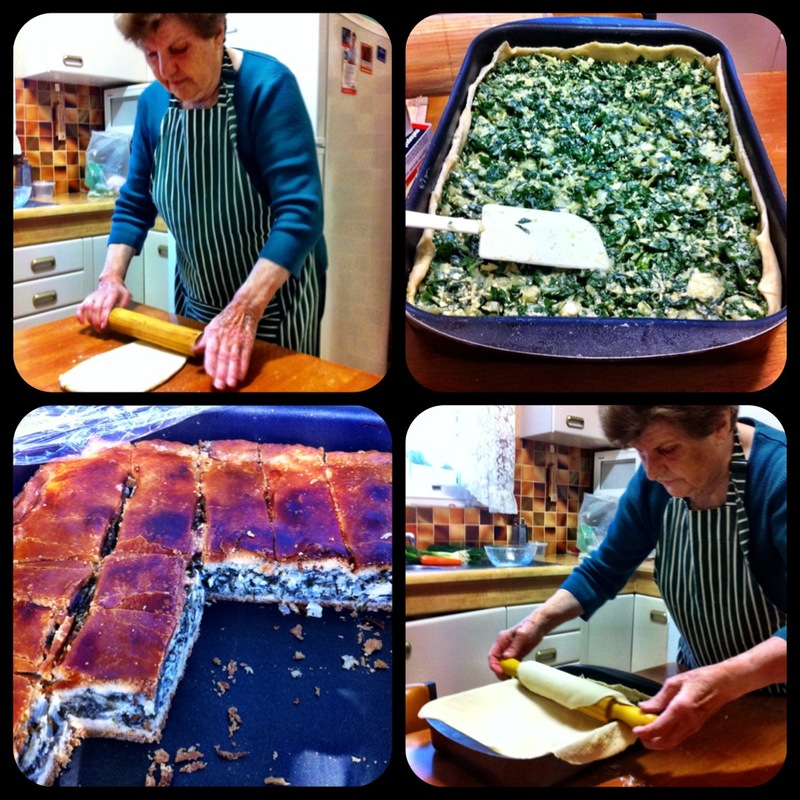 Yiayia worked them into the mince with her hands along with eggs, salt and pepper. It’s been a while since my last post (about a celebrity chef) and what do I back it up with? Another post about a celebrity chef. I promise I’m not a one trick pony and I’m also not friends with every celeb chef in town. I just happen to meet a few in my line of work. 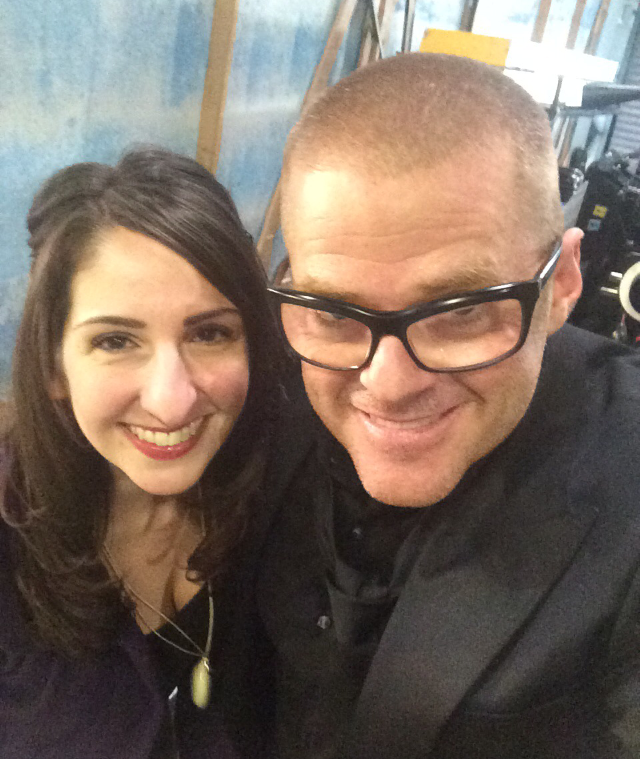 I’m currently promoting Heston’s new TV show which has seen me work with him on a few shoots over the past few months. But I’ve been a Heston fan for much longer than that and can now proudly say I’ve been to every one of his restaurants. A bona fide groupie. Let’s start with the biggie. 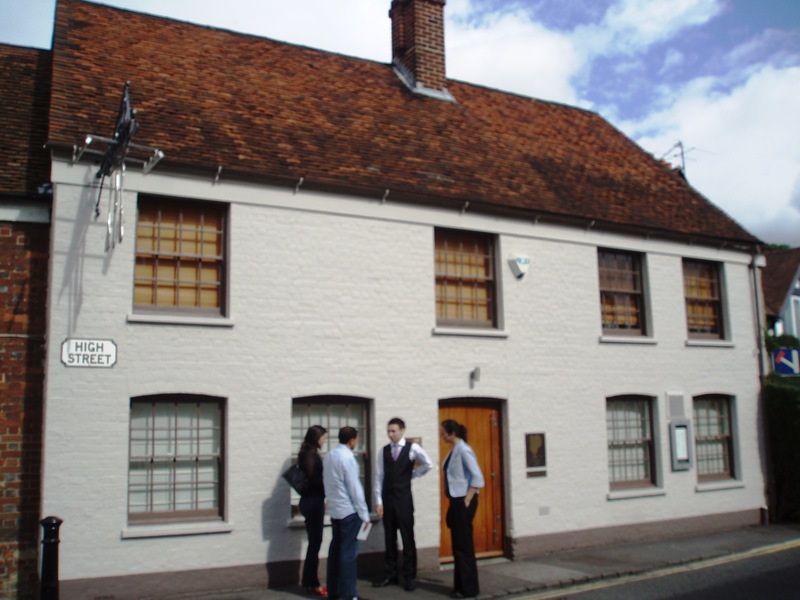 The Fat Duck in Bray receives 35,000 calls a day from eager foodies trying to book a table. Yes, that’s 35,500 A DAY. It’s no wonder it took my friends and I over a year to get through, in fact it’s a wonder we made it through at all. It was and still is one of the most memorable experiences of my life. Everything about our lunch that day is etched firmly in my mind. The 90 minute drive out to the picturesque Berkshire town of Bray with Katia, Jess and Santosh. 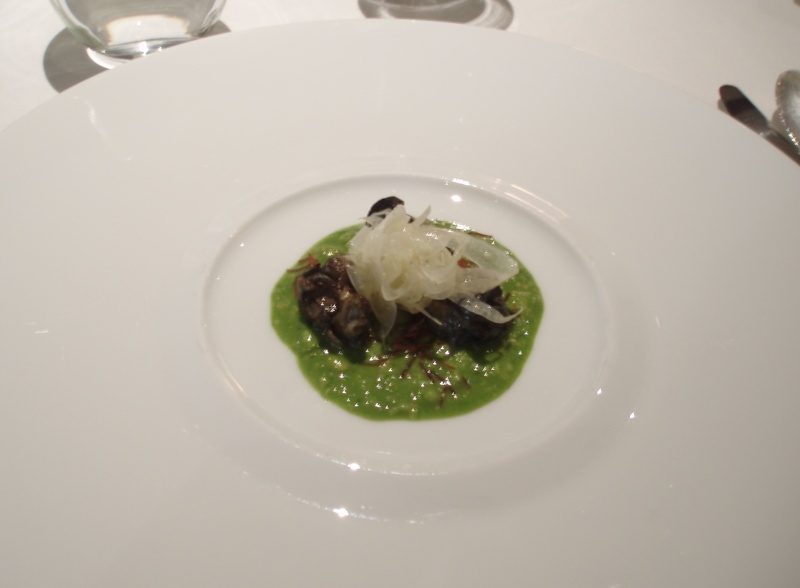 The 18 course degustation that surprised and delighted at every turn. 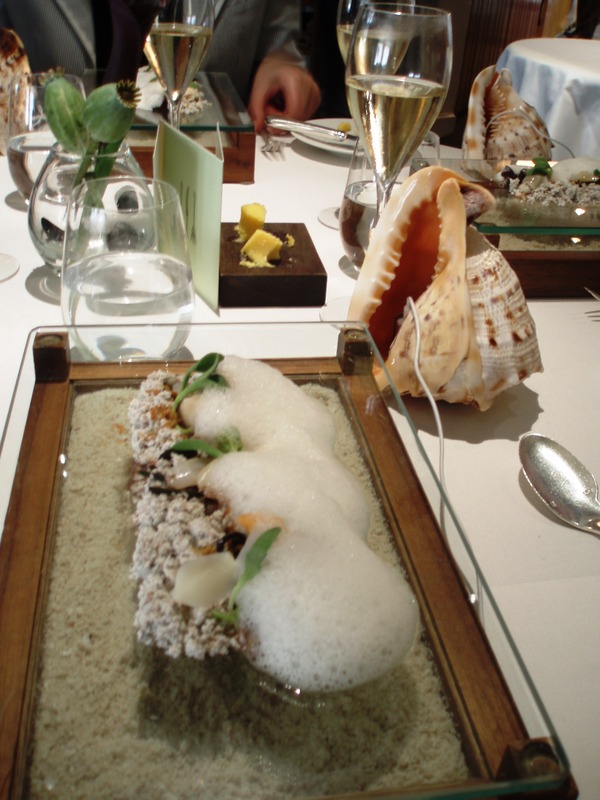 I remember the £50 bottle of Taittinger we drank was the sweetest I’d ever tried and I still have the menu carefully stored as a priceless memento. 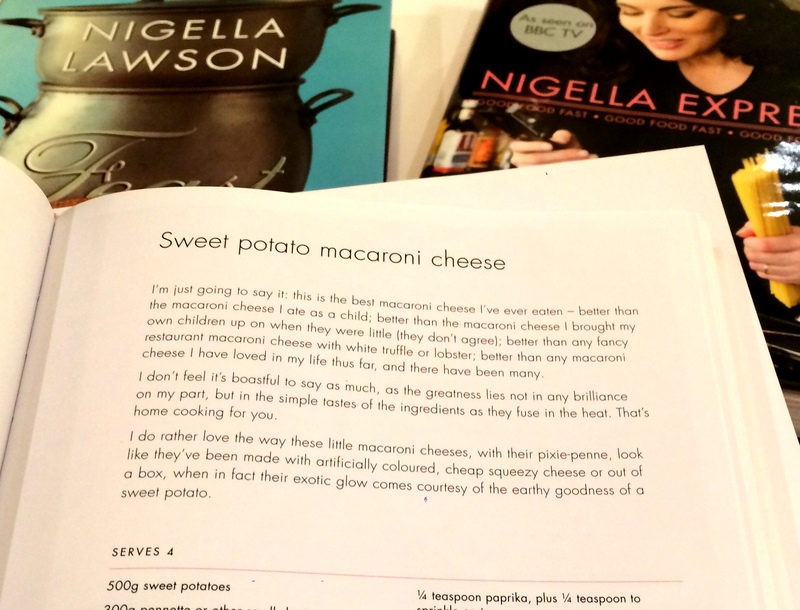 It’s no secret that I adore Nigella. And yes, I am being a shameless show off by sharing this photo of us from a few years ago. Indeed it’s framed on my wall, how did you know? I had the honour and pleasure of working with Nigella a few years back while part of LifeStyle Food Channel and can honestly say that what you see is what you get. The smooth honey voice, cheerful disposition and infectious laugh? It’s there on and off screen. 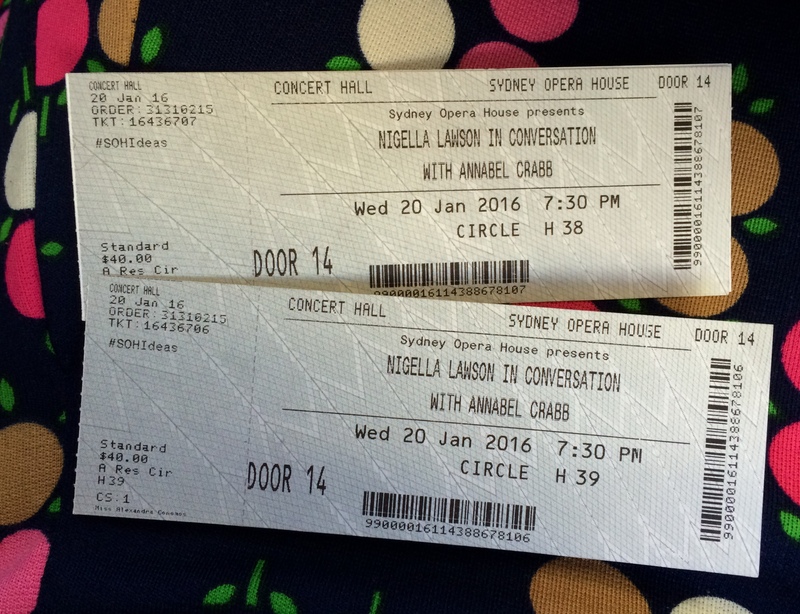 Fast forward a few years to last night and I was in the beautiful but decidedly un-intimate setting of the Sydney Opera House, watching Nigella as she engaged in conversation with the delightful Annabel Crabb. 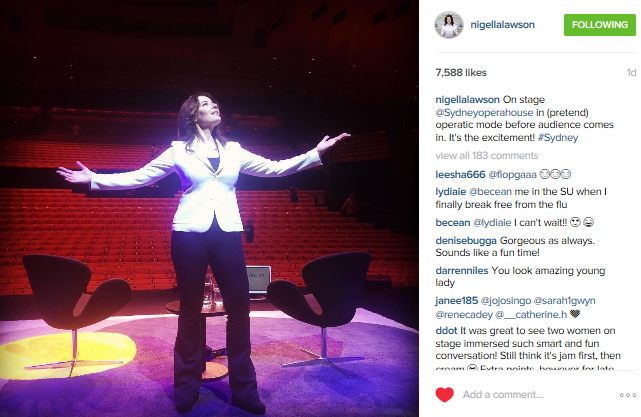 It got me thinking of all the things I love and admire about Nigella. So here are my top 8. 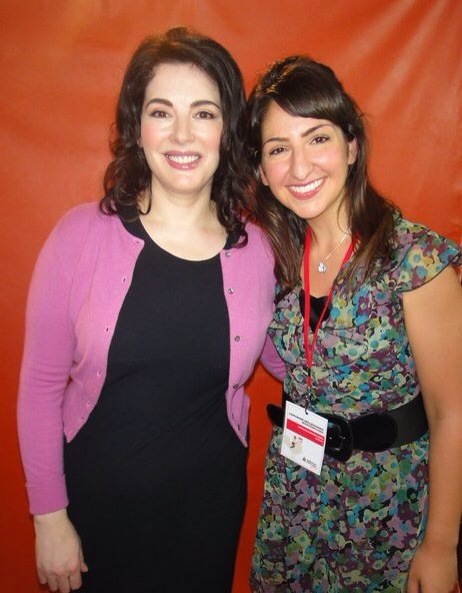 For someone so seemingly posh, Nigella is pretty down-to-earth and practical. Mid cooking demo at the Melbourne Food & Wine Festival a few years ago, she exclaimed a hair had fallen in the dish she was making. How true is that? It’s just a hair people. Move it to the side and continue cooking. This admission came out last night as Nigella was telling us about her two ‘modes’ – the ‘moving at the speed of light’ mode and the ‘comatose on the couch’ mode. The condiments come in handy for the latter when she can only bear to eat food amongst soft sheets. Nigella revealed that one of her luxuries is expensive linen. And how she proceeds to ruin it by dripping soy sauce everywhere. We’ve all been there right? No surprises here as she’s a trained and experienced journalist but this is really what sets her apart from the legions of other would-be-cooks in the world. She’s a writer who happened to fall into food and subsequently the recipes play second fiddle to her unique way of storytelling. 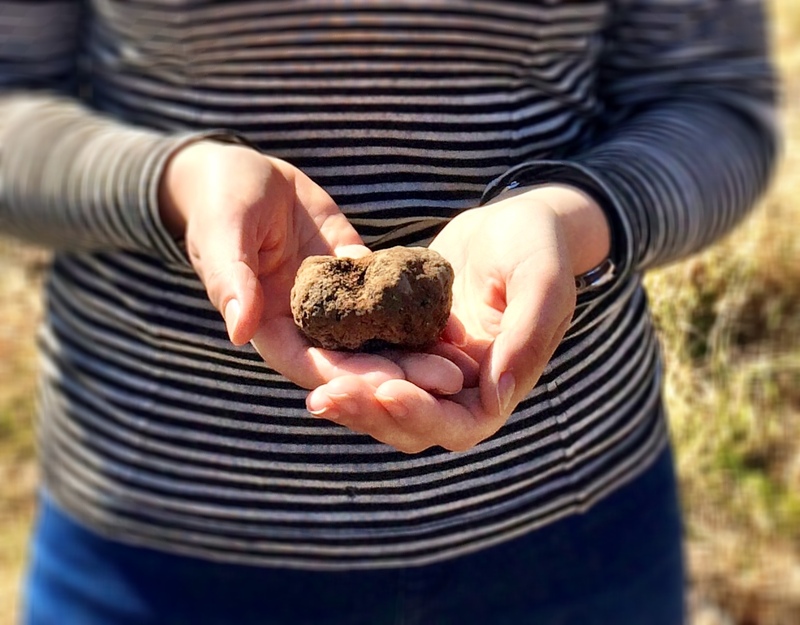 Before you even get to the ingredients you know the provenance of the dish, the mood she was in when she created it and the occasion that inspired such a dish. Anyone can throw a few ingredients together but not many can transport you into the heart and soul of a dish before you’ve even stepped foot into the kitchen. Oh yes. The culinary scandal of 2015. In her new series, Simply Nigella, Nigella takes a few minutes to extol the virtues of avocado on toast on any day for any occasion. She clearly notes that ‘this is hardly a recipe’, and goes on to suggest ideas for jazzing up this old classic with new flavours. The next day an indignant media declared that Nigella was hoaxing the public by ‘calling avocado on toast a recipe’.